Recently a photo restoration service called Top Hat Photo Repair offered to restore a photo of my choice in exchange for a review of their services. I have dozens of old photos that need some restoration work so the offer was tempting. However I my reviews are always honest so I had to warned them that if I didn't like the service they would not get a good review from me. Well I'm pleased to say I am very happy with the work they did! Here is the before photo. 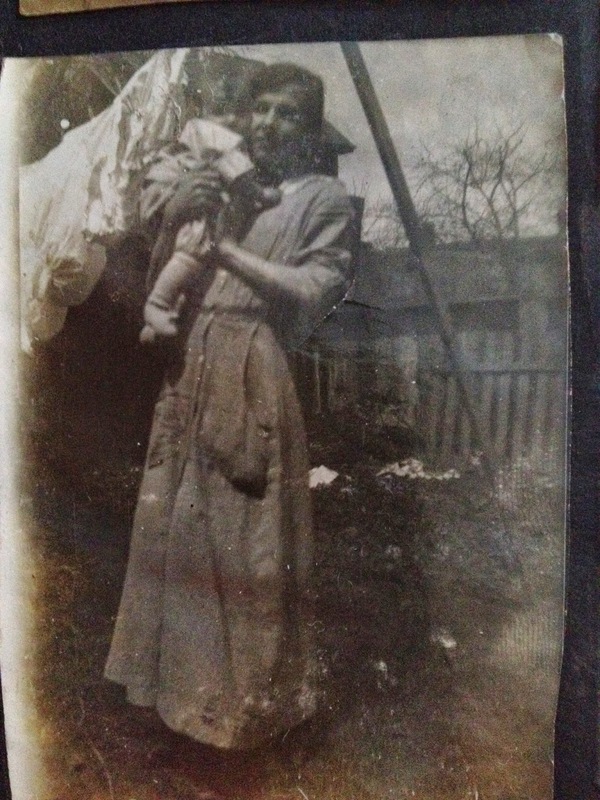 It's a very dark photo of my grandmother holding my mother ca 1916. I love this photo. 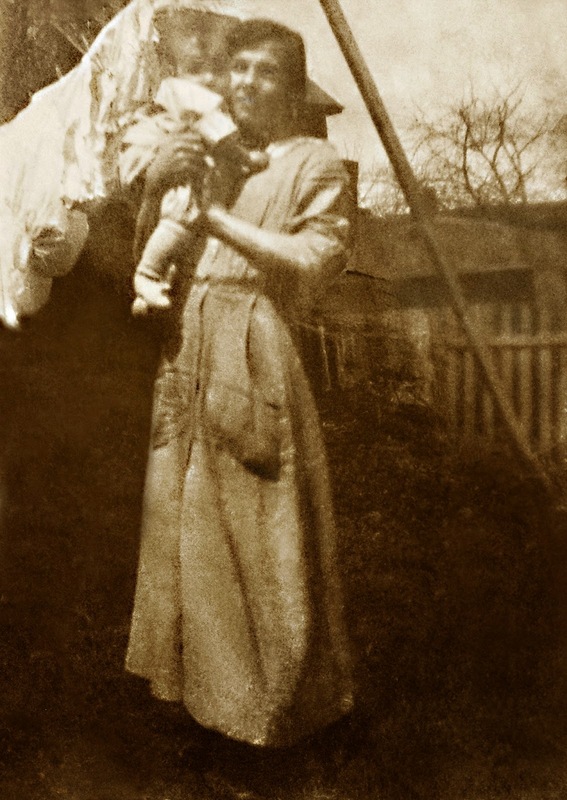 Clothes on the line, Grandma's pocket bulging with clothespegs and my mom no doubt squirming in her arms. Here is the photo after Top Hat Photo Repair was finished restoring it. I can see Grandma's face better and my mom's face is completely visible now. They were very accommodating about doing more on the photo after sending me their first restoration. There were 2 small items I wasn't 100% satisfied with in the first attempt but I love the final product below. Michael, of Top Hat Photo Repair has offered my readers a discount of 20% on photo restoration. Just use the promo code "olive" This discount is good until September 15, 2014. Their prices are very reasonable and I hope some of my readers will be able to take advantage of this offer.